Garden Selection: Dahlias require an area that receives at least half a day of sunlight and has good drainage. Dahlia roots do poorly when they sit in consistently wet soil! Soil: Prepare your garden area or beds a week or two in advance by spading or tilling the soil. Adding lime (1-2 lbs. per dahlia and evenly spread over the garden) will sweeten the soil and lower the acidity. Dahlias are heavy feeders and a general rule is to add 1 to 2 pounds of 5-10-10 fertilizer per dahlia, spread evenly over the garden area and raked into the soil. 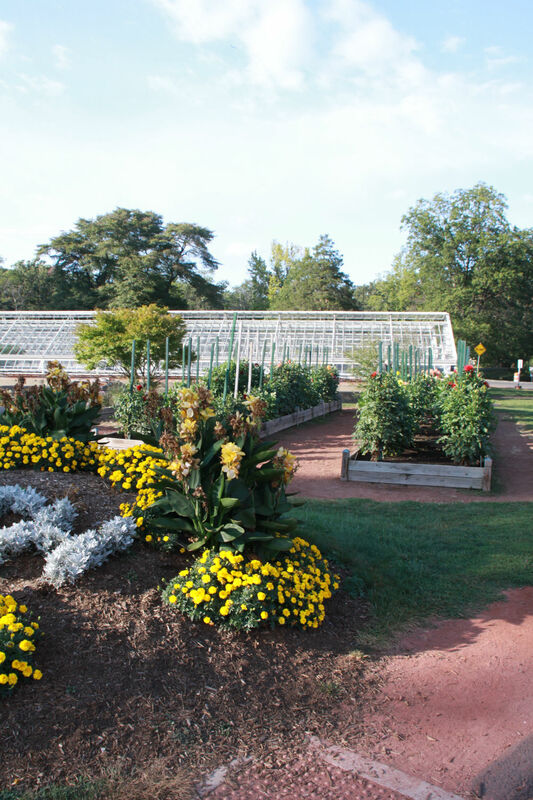 A garden of 100 dahlias, in rows 2 feet apart with 4 foot aisles, should receive about 150-200 pounds of fertilizer. If you have a heavier soil, work in sand and peat moss or compost to lighten and loosen the texture. 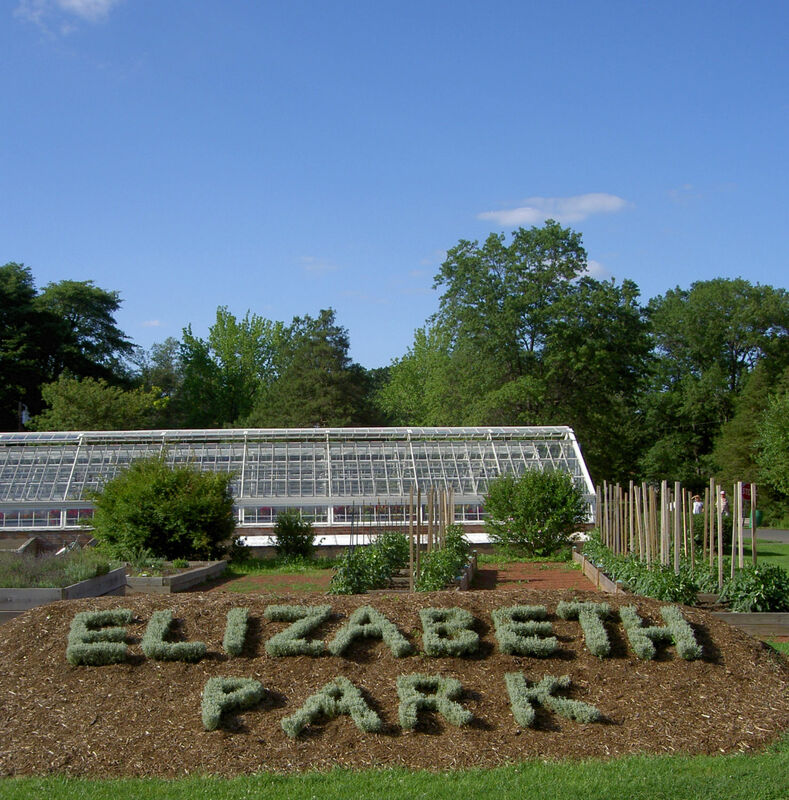 Additional fertilizer, such as animal manure, may also be added at this time. Planting: Before planting, drive 6-7 foot long stakes into the ground to support each dahlia plant. The stakes should be placed approximately 3 feet apart with 4 to 5 feet between rows. After the last frost (mid to late May in this area) plant your dahlia roots horizontally to a depth of 5 inches, with the growing eye pointing upwards about 1 to 2 inches from the stake. Do not over water your newly planted roots. Wet conditions will generally rot the tubers. The growing shoot should start to break the surface about two weeks after planting. If you are planning to grow your dahlias for exhibition, spread your planting over several weeks and consider getting advice from seasoned growers who exhibit. Dahlias that are grown from plants should not be planted until the end of May, when the danger of frost is over. As a rule, plants tend to bloom several weeks earlier than dahlias grown from tubers. Watering: There is usually enough moisture in the soil to sustain the initial growing phase. The tuber will begin to form hair roots and the main shoot will break the soil surface after a couple of weeks in the ground. If the soil becomes dry, a light watering may be necessary at this time. As the plant becomes established and the warmer months arrive, a deep watering twice a week is required. For extremely hot and dry summers, water more frequently. Once the stem “hardens off” due to lack of water, it will not enlarge and transport nutrients for proper plant growth. Pests: As the growing tips emerge from the soil, they become a favorite food for slugs. Regular applications of slug bait around the plant and garden area should minimize the damage. When the plants mature, aphids, earwigs and spider mites also harm them. A weekly spraying program of an all purpose insecticide should be used. Be sure and read the label of the product to verify that it covers the proper pests and is safe to use on dahlias. Be sure and spray under the leaves as many insects prefer this location. Growing: Dahlias should be grown as a single stalk, with multiple shoots removed as they emerge from the ground. The growing tip is removed (pinched out) when the plant reaches 6-10 inches in height or has 5-7 sets of leaves. This will promote lateral growth (shoots) and multiple blooms. Each lateral will produce a main (terminal) bud and two adjacent buds. Side dressing each dahlia plant at this time, with a commercial fertilizer, will give your plants a boost and enhance your blooms. Another side dressing two weeks later may also be applied. If you are planning to exhibit your blooms, the side buds should be removed (disbudded) along with any additional growth on the stalk. Tying of the dahlia plant is required throughout the growing season. The main stalk should be tied when the plant reaches 10-12 inches in height and moved upward as the plant grows. As the laterals develop, additional ties are required to support the new growth. The finer points of growing the dahlia should be learned from a grower who is skilled in these aspects. The techniques may be learned by asking questions and attending monthly Dahlia Society meetings. If you are not planning to exhibit your blooms and want to maximize the number of blooms and garden splendor, consider letting all the buds flower (no disbudding). Don’t be afraid to experiment, and please enjoy this wonderful and challenging hobby! 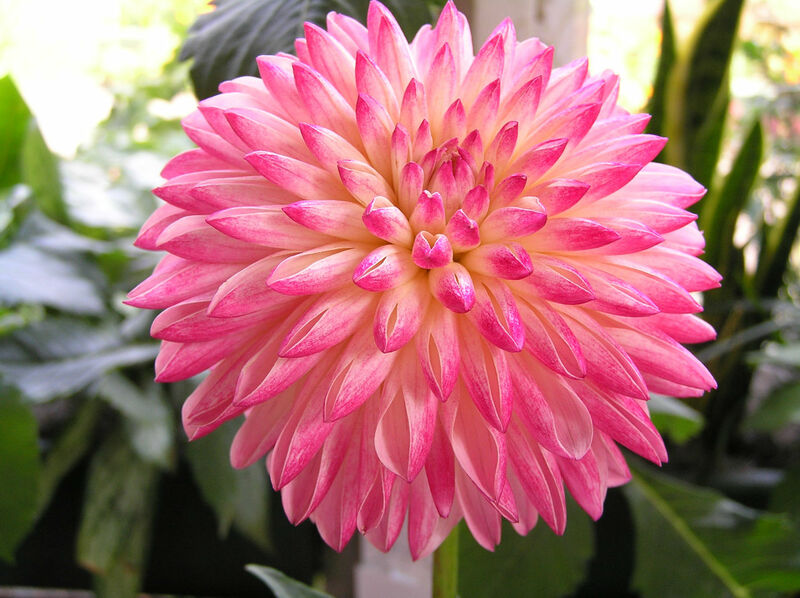 Classification: Dahlias are classified according to their size, formation and color. Dahlias over 10 inches in diameter are designated as AA (giant), A (large) 8-10 inches in diameter, B (medium) 6-8 inches in diameter, BB (small) 4-6 inches in diameter, M (miniature) up to 4 inches in diameter, BA (ball) over 3.5 inches in diameter, MB (miniature ball) 2 to 3.5 inches in diameter and P (pompom) which are up to 2 inches in diameter. There also are several other classifications, such as stellar, waterlily, peony, anemone, collarette, mignon single, orchid and novelty. Within the first five sizes of dahlias, there are five types of formations. The formations are FD (formal decorative), ID (informal decorative), SC (semi-cactus, C (cactus) and LC (laciniated). The ball, miniature ball and pompon dahlias have involute petals. Color is the most important attribute of the dahlia, with fifteen different color classes for each form of dahlia.